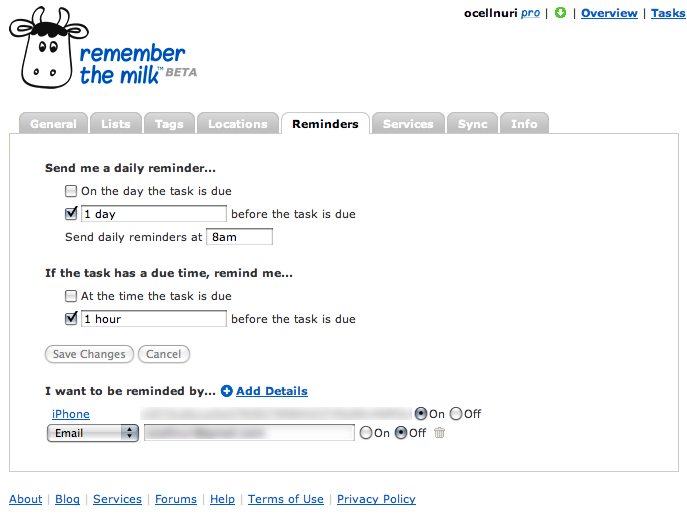 I don’t have a real solid task management system in place right now, but I’m still a big fan of Remember the Milk (RTM) and still use it pretty frequently. The RTM iPhone/Touch app [iTunes Link] recently got an update that added push notifications, so now you can have task reminders sent directly to your mobile device. For me, this is killer. You could have RTM remind you of things through e-mail before, but with push notifications your todo reminders can live in their own space without invading your e-mail inbox. Notice that I can now select my iPhone as my notification destination in the RTM Reminders settings. We talked about Getting Things Done, life hacks, knowledge work, nostalgia for scarcity, and the problem of getting addicted to productivity advice, among many other topics. This oneâ€™s a tour de force.